Recent advances in fabrication technology allow fabricating objects with internal microstructure. We developed a software that allows the user to interactively manipulate the structure of those shapes and therefore create objects that behave in a certain way. 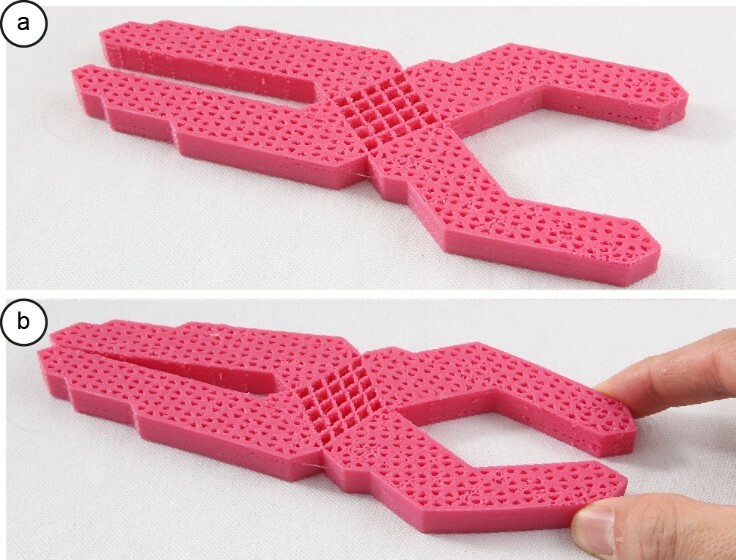 Those objects can be printed by a 3D printer in one piece. 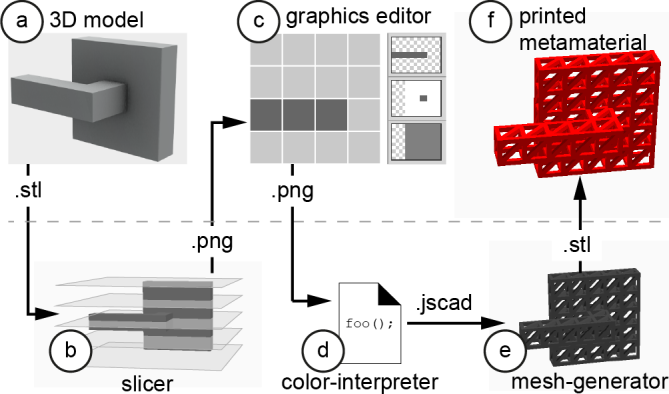 An arbitrary 3D model is sliced into multiple layers which are saved as image files. You can then use a graphics editor like Photoshop to manipulate the structure. All common tools like gradients and brushes can be used as the information is color-encoded. Now the image files are parsed and an scad file is generated which can finally be exported to an stl file again. The 3D printer reads the stl file and prints the model.